Online pre-orders have closed but join us Saturday to shop over 10,000 plants! See a wide assortment of annuals, perennials, hanging baskets, tropicals, shrubs, vegetables, herbs, and more while helping those in need. 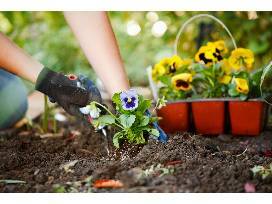 Fayette County Master Gardeners and plant experts will be on-hand to offer advice and guidance. Fun for the whole family including expert demonstrations, a Kids Zone with a free inflatable bounce house, escape room coloring contest, and snacks and concessions. Plant Sale Will be Back at Oakland Elementary School! 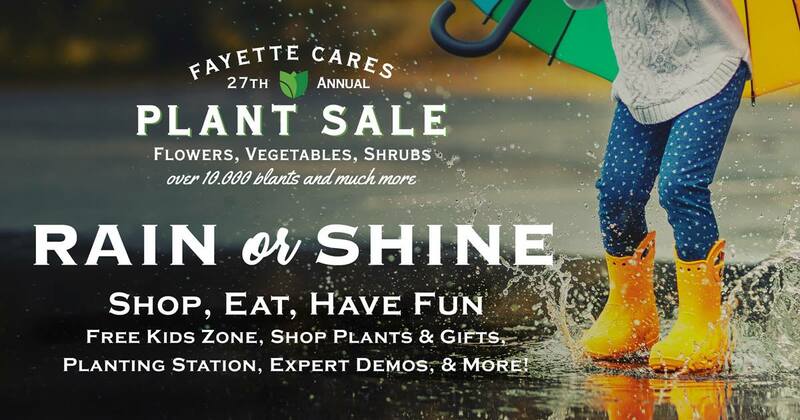 2-Hour Planting Service Available from professional landscaper John Tracy with 100% of proceeds donated to Fayette Cares! Limited number of planting service packages available so buy yours now by clicking the View Items button above! All proceeds benefit Fayette Cares, a 501(c)3 agency helping empower those in need with solutions to end homelessness, break the cycle of domestic violence, and create stability and self-sufficiency from crisis. Fayette Cares has served the Mid-South as a community-supported non-profit organization since 1986 and is a United Way agency.